Someone at work gave me a bag full of gorgeous heirloom tomatoes from her garden. They were ripe, firm, and delicious. Is it any wonder that the French have referred to tomatoes as “pommes d’amour“ or love apples? Actually, up until about the end of the 18th century, people believed tomatoes were poisonous. It wasn’t until 1808 that a Colonel Robert Gibbon Johnson of Salem, New Jersey proved everyone wrong. The story goes that he stood on the steps of the Salem courthouse and ate a whole basket of tomatoes in front of a crowd of people who were convinced he was trying to commit suicide in public. When he didn’t die or even get sick, people changed their minds about the lowly tomato. So let’s hear it for Colonel Johnson! 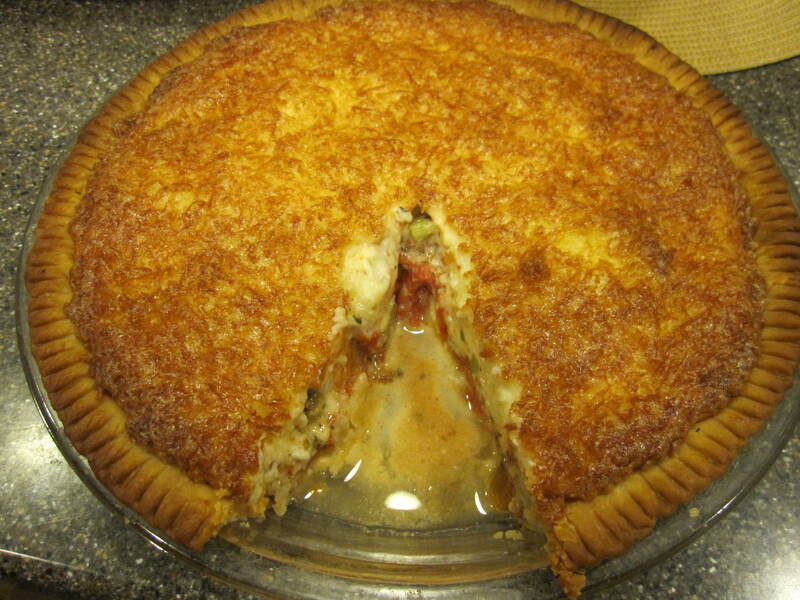 Without him, we may never have had delicious dishes like this Tomato Pie. This dish is a yummy, Southern favorite. If you want, you could cut down the fat by using reduced-fat mayonnaise and reduced-fat cheese, or you could try lessening the topping to 1/2 cup mayonnaise and 1 cup grated mozzarella cheese. It’s less rich, but still delicious. Ask my daughter, Yissi. She loves Tomato Pie! Place tomatoes in a colander, toss with about 1/2 tsp. salt and allow to drain for 20 minutes or so. 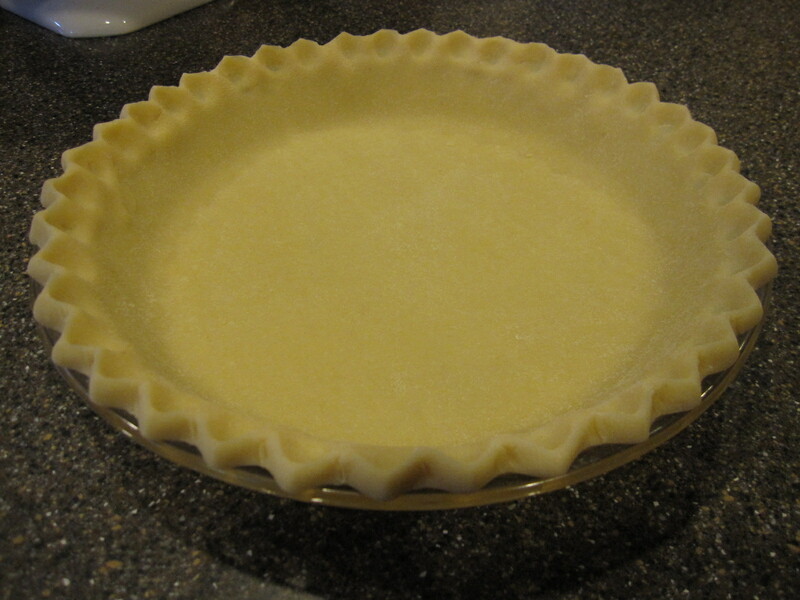 Pre-bake pie crust until light brown, about 8-10 minutes. Remove crust from oven and lower oven temperature to 350°F. If desired, sprinkle bottom of crust with parmesan cheese. Lightly pat the tomato slices dry with a paper towel and layer them over the parmesan cheese in the crust. Top with basil and green onion. In a bowl, stir together the mayonnaise and mozzarella. 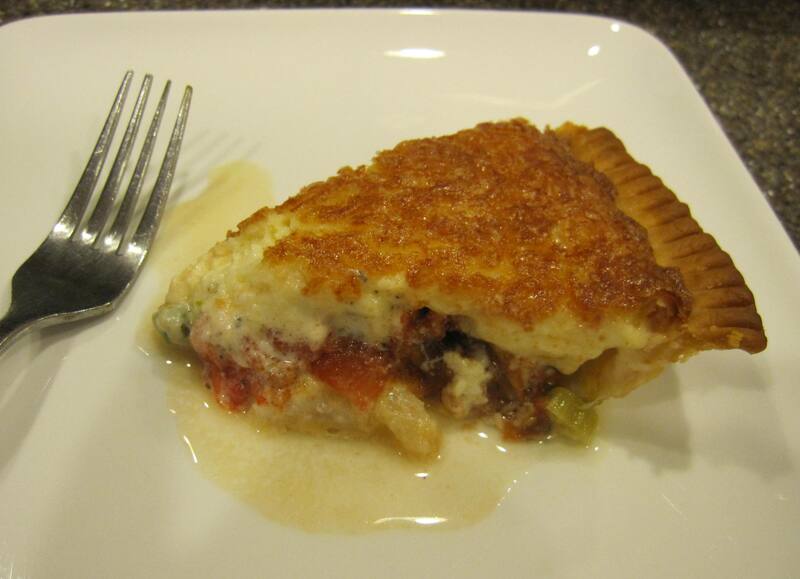 Dollop mayonnaise mixture on top of tomatoes and smooth to edges of crust. NOTE: If you want your pie to be juicy, omit Step 1 and just use your tomatoes as is. A lot of people are afraid to make pie crust from scratch for various reasons, but with a little bit of practice, making a great pie dough is easy to master. Just remember, you want your ingredients to stay cold as long as possible. Also, the less you handle the dough, the more tender the crust. 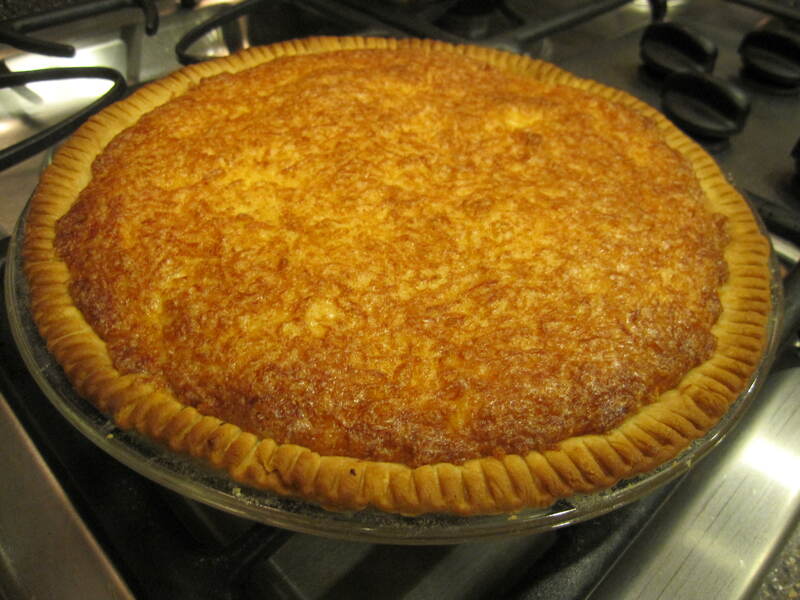 Over-mix it and your crust could turn out greasy and tough. A food processor is the easiest way to go so if you have one, use it, but by no means is it an absolute necessity. You could just as easily make your crust by hand using 2 knives or a pastry blender to mix the butter and shortening into the flour. Put flour, sugar and salt in food processor fitted with metal blade. 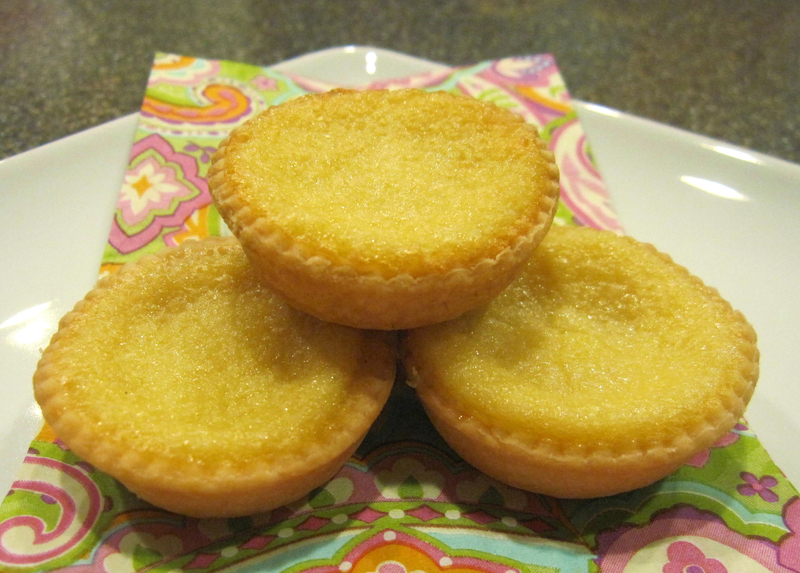 Drop in butter and shortening and pulse until just cut into flour. Don’t overmix! You want some pea-sized and some barley-sized pieces. Add 3 tbsp. of water, one tablespoon at a time and pulsing once after each addition. Then use a few long pulses to blend water and flour well. If dough is still dry after a dozen or so pulses, add as much water as necessary to get dough to stick together when pinched. Scrape dough out onto work surface. Gather into a ball, flatten to a disk, and wrap in plastic wrap. Chill dough for an hour before rolling out. Follow directions above up to Step 5. Gather dough into a ball and cut in half. Flatten each half into 2 disks and wrap each in plastic wrap. Chill for an hour before rolling out. NOTE: Dough can be refrigerated for up to 5 days or frozen for up to 2 months.